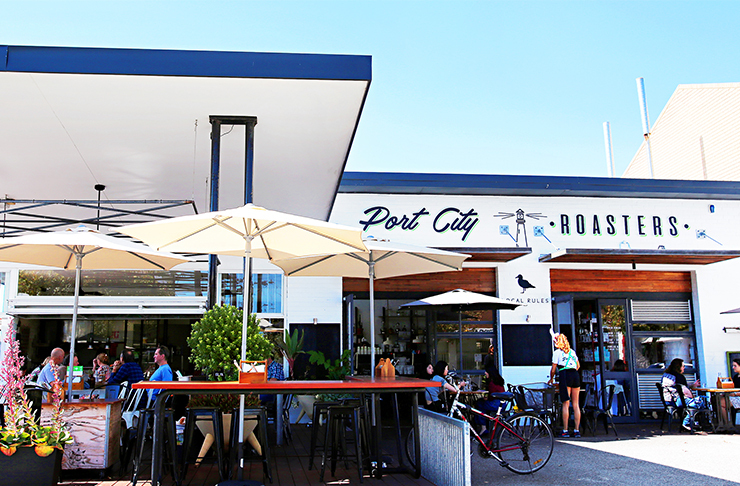 There is nothing like the smell of freshly roasted coffee to get you going in the morning and the coffee at South Freo’s Port City Roasters is no exception. Housed in what was once an old service station, the Port City Roasters fit-out is an uber cool mix of industrial tech with a sprinkle of rustic flare thrown in for good measure. An epic coffee roaster is tucked into one corner of the cafe and the cutest mint green and wood coffee machines sit atop a counter made out of construction bricks. Out the front, a raised deck is plonked where the old petrol bowsers would have once been. Luckily the smell of petrol has been replaced with coffee these days. Located on popular South Terrace, there’s a real buzz at this place on weekends and it’s due to the fact that the food and coffee is so dang good. Eats-wise, it’s hard to go past the eggs benny chan, a delightful mix of panko crumbed poached eggs, roti bread, wood smoked bacon, a herby salad, chilli and sriracha hollandaise—with some added avo for good measure. If sweeter brekkies are more your flavour, the pannacotta will not disappoint, served with seasonal fruits, muesli and berry compote so you don’t have to feel too bad about yourself. And the potato rosti with ham, house made hollandaise and poached eggs single-handedly convinced me that I need to replace all of the bread in my life with fried potato. Dee-lish! Epic brekkies aside, the lunch and sweet treat menu at Port City Roasters is also super tasty. You really get the feel that everything is made with love here and there are plenty of happy family and Freo vibes. Plus, you certainly can’t go wrong with the coffee here, served every possible way you could imagine and roasted on site. Be sure to pick up a bag of your favourite brew to enjoy at home before leaving. 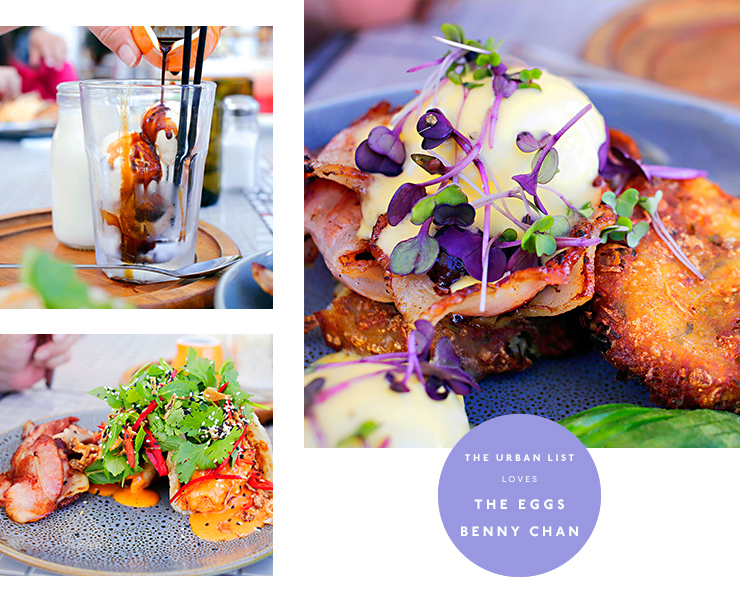 If you’re looking for the perfect breakfast, brunch or lunch spot in South Freo, you’ve found it!